A Beginner’s Guide to Yoga Yoga for Good Health and for Weight Loss Table of Contents Introduction to Yoga The History of Yoga The Guru -Shisya Tradition Practicing Yoga in Your Daily Life Your Yoga Lifestyle Getting to Know More about Beginners Yoga Who can Best Teach You Yoga? Learning Yoga Online Finding the Best and Well-Qualified Yoga Teachers Tips for Beginners Yoga So What Should You Expect from Beginners Yoga How to Do Yoga Beginner Yoga Poses and Techniques Padmasana- The Lotus Pose Shavasana- the Corpse Pose The Cobra Pose – Bhujangasana Most Effective Yoga Poses Sukhasana- The Pose of Relaxation Vajrasana — the Rock Pose, the Resting Pose or the Diamond Pose Siddhasana — the Perfect Pose Yoga for Weight Loss More about Yoga The Control of Life – Pranayama Bikrama Yoga for weight loss Suryanamaskara – Greeting the Sun Ashtanga Yoga-the Yoga of Eight Limbs Meditation Conclusion Resources and helpful URLS Author Bio Introduction to Yoga This book is going to tell you a little bit about yoga. I am not going to go very deeply in to the esoteric and traditional aspects of yoga, because that knowledge is only gained through years of training by a wise and experienced guru, but you are going to get to know more about this ancient tradition, which has come down to benefit mankind down the ages. “What is Yoga?” Ask any health-conscious person this question and he is going to inspect the ceiling thoughtfully and say something on the lines of, “ahhh, umm…Is not yoga made up of some exercise routines in which you lie down on a mat, and twist your body into different shapes? These exercises are to get rid of weight and will make sure that you keep fit, fine, and healthy.” When you nod and say, “Go on,” he is going to continue enthusiastically, “And then you are going to be chanting some mantras all the time that you are doing these exercises, because that is the way it is done!” Hold it right there! You are right, that yoga is basically a set of exercises, but let me explain about the idea of mantras and chanting. This idea that you have to chant instant mantras in praise of the gods is perhaps the reason why so many people are not taking benefit of this ancient Eastern tradition. That is because they consider this to be religion, area, and civilization specific. This is definitely not so. An American friend once asked me if I practiced yoga, being an Indian. I nodded and she replied, a bit bewildered. “But you are not a Hindu. So why would you want to practice yoga?” And then she shrugged her shoulders and said, “Well, I guess it is just a passing phase, this interest in yoga.” This was 20 years ago, and for all those people out there who still are under the impression that yoga is a religion specific tradition, let me tell you a little bit about this ancient traditional way of keeping healthy. And I am glad to see that she has been proven wrong, because Yoga is definitely not a fad. It is not “here today gone tomorrow.” More and more people in the West, and also all over the world are getting interested in this natural way of keeping healthy and physically, emotionally, spiritually and mentally fit. 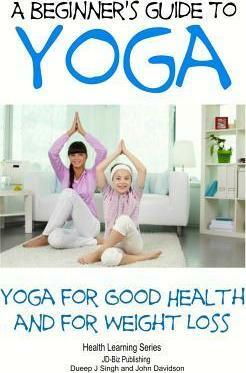 Yoga has been around for more than 5000 years. It has been practiced in Asia in different ways and under different names with one goal – achievement of spiritual harmony and physical well-being. The Chinese have their own version of yoga, -Taichi and Taijiquan- which includes mental and physical exercises, including meditation. So have plenty of old Eastern civilizations down the ages. Yoga is a state of mind; it is also the art of living, in which the mind, body and spirit work in tandem to achieve the state of mental, physical and emotional harmony. And if that is too philosophical for you, you can consider yoga to be a system in which you are getting in touch with your mind, body and spirit in a really positive manner! ← Hacer historia : reflexiones desde la práctica de la danza – AA.Vv.